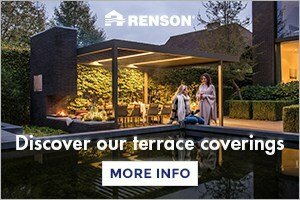 The Parks Trust, the self-financing charity that manages and maintains over 6,000 acres of Milton Keynes’ green space, welcomed 62 children from primary schools and home educated groups across the city for its fifth annual Junior Park Rangers (JPR) Outdoor Learning and Sharing Conference. The children enjoyed an action-packed day of outdoor activities at Campbell Park, which began with a ‘Which Park?’ photograph quiz, followed by a short Q&A session, where the Rangers put Landscape and operations director, Rob Riekie, on-the-spot to answer their questions on both woodland management and Campbell Park. 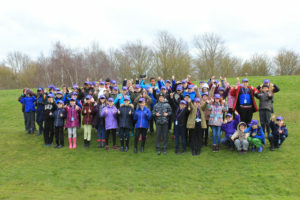 Shortly after, the children split into groups to take part in a variety of different activities, including a ‘winter wander’, where they discovered natural ‘treasures’ ;a VIP woodland management experience and interactive Community Ranger challenges covering litter, water safety, feeding waterfowl and the Countryside Code messages of ‘Respect, Protect and Enjoy’, for the environment and Milton Keynes parks. After lunch, there were more fun activities to enjoy; John Muir (environmental) Award inspired tasks, including using natural materials to create ‘mini national parks’ and individual group verbal presentations, showcasing JPR activities, competitions and quizzes. This was a very important part of the day as the opportunity to communicate and share key environmental messages to peers, school and family and friend communities is an integral part of the JPR programme. The Rangers also painted a rock, which will be used to create a ‘JPR’ themed mural, temporarily located in Campbell Park, the city’s Art park. Amanda Bailey, outdoor learning practitioner and co-ordinator of the JPR programme at The Parks Trust, commented: “We love the annual JPR Outdoor Learning and Sharing Conference, it’s a fantastic opportunity for children to get out into nature and find out more about the city’s green space and wildlife. The Junior Park Rangers scheme is free to join, simple to run and is fully supported by the Outdoor Learning Team at The Parks Trust. As part of the scheme up to six children per school, from years 4-6, are recruited as Junior Park Rangers.